The 10 Dimensions of any Enterprise (undertaking, especially one that needs courage or that offers difficulty). All 10 dimensions should be in place and continually monitored and re-visited by the leader for the Enterprise to be successful. 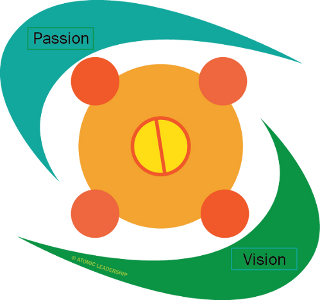 Elements: Foresight, Creative Thinking, Targets, Flexibility. Elements: Feeling, Motivating, Praise, Trust, Belief, Excitement. It is all about people and people are all different. (This is what makes Leadership difficult). These two dimensions should be considered together. 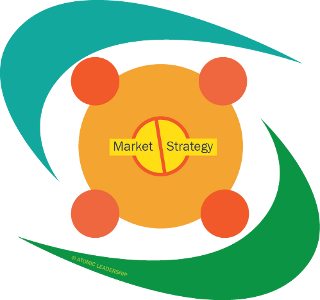 An effective strategy cannot be compiled without keeping the customer (market) in mind. These dimensions require continual measurement and monitoring as this is where change occurs the most. As change is increasing exponentially it cannot be considered without the necessary learning that is required to accommodate change. Elements: Continually Allow for Change (Learning), Strategic & Business Planning, Finance, Products, Manning & Structure, Management Style, Productivity, Organizational Culture. Elements: Defining the Market, Marketing, Selling, Advertising, Distribution, Packaging, Merchandising, Internal & External Customers, Image. 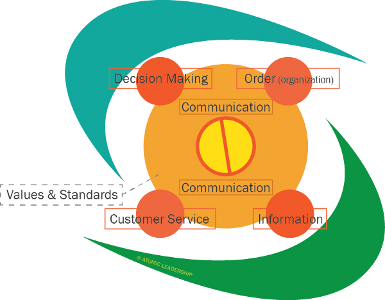 These dimensions all need to be in place for your Enterprise to be effective. Relative to Strategy and Market, once they have been determined they do not alter that much other than for regular re-visiting. Elements: Organizing Self, Organizing Others, Prioritizing, Delegating, Operational Systems, Time Management. Elements: Information Flow, Data Collection, Trending, Financial Records (Cash flow, Profit & Loss Statement, Balance Sheet), Use of Technology. “The only man who never makes a mistake is the man who never does anything”. Elements: Problem Solving, Authority Levels, Responsibility, Accountability, Initiative, Analytical Ability and Interactive Listening. 90% of Execution is Communication – “Tell everyone about everything that matters to you and to them”. Elements: Relationship building, Dimensions of Service, Policy, Efficiency, Welcome and Greeting. Elements: Core values, Trust, Discipline, Policies, Competence, Lifelong Learning, Quality, Output, Orientation, Environmental Conservation, Measurement. Visit the Resources Page for access to a range of Planning Documents.